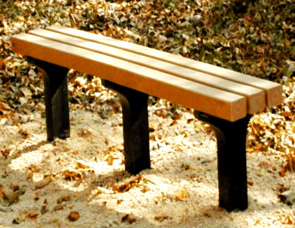 Recycled plastic trail benches grace all outdoor settings while providing a convenient place for visitors to rest. Choose from 4' and 6' lengths with in-ground or portable mount frames. Optional mounting brackets can be installed on portable frames to deter theft.